There is something in nicotine that keeps drawing all the wrong kinds of attention, particularly from opponents of e-liquids. It seems it has been drummed into the public that smoking and nicotine are too many words to refer to the same thing. 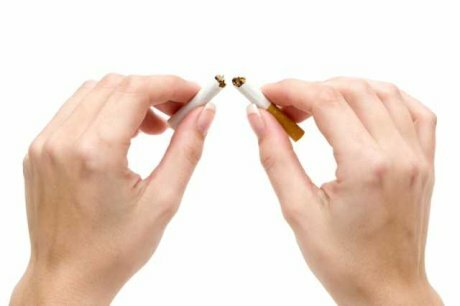 For more than 40 years, there has been a concerted effort to train the public to shun smoking and the nicotine that cigarettes delivered to the lungs of smokers. With time, it became a given that nicotine was as bad as the act of smoking. It is against this background that electronic cigarettes with e-liquids came into the picture. Prohibitionists were quick to condemn them because they contained nicotine, something that to them was synonymous to smoking tobacco cigarettes. The question is, should opponents condemn nicotine in the same way as they do smoking? The fact is that on its own, nicotine is only dangerous when consumed in large quantities. It can cause heart problems and it can affect unborn babies if the pregnant woman consumes lots of it. As scientists will tell you, nicotine is addictive just as caffeine is, but is not the cause of the problems that are seen among smokers. The trouble for smokers is caused by the smoke they inhale. The smoke has hundreds, if not thousands of constituents that are responsible for affecting the health of smokers in the way that has been well documented. E-liquids do away with the smoke and retain the nicotine. That is why it is said that e-cigs remove 99% of the harm that tobacco cigarettes have. One can safely consume nicotine throughout their life without coming to any harm, while the same cannot be said of smoking ordinary cigs. Even the argument that many e-smoker users still smoke is not a problem in itself. The fact that they use e-cigs at some point means they have reduced the number of tobacco cigarettes they would have consumed and in the process saved themselves from the harm that would have come to them. As the low harm level of e-cigs shows, the trouble is not in nicotine. It is in the way that nicotine gets to its addicts. And nicotine is not only found in tobacco leaves; it is found in other products freely consumed like potatoes and cabbages! The debate now needs to be redirected so that people are aware that nicotine is not the devil as it has been portrayed to be. When they know this, it will make a lot more sense to them to understand that e-liquids are a revolutionary way to save people from the harm they had been exposed to as they sought to get nicotine from tobacco cigarettes and now that they can get it without having to smoke, their lives will be so much better off, as well as the lives of those who live and work with the smokers-turned-vapers. As the title of this piece puts it, in my opinion the devil is not in nicotine; it is in the combustion of tobacco. E-juices therefore shouldn’t suffer for the crimes of the smoke in ordinary cigarettes since they do not emit any of it.